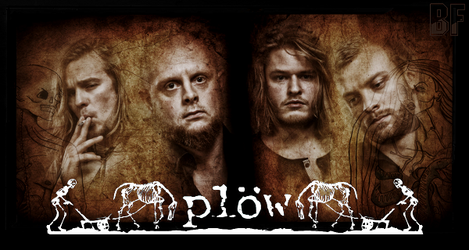 Danish sludge metal band PLÖW will release their debut album “No Highness Below The Crown” as vinyl, CD and download in Europe through Mighty Music and Target Records on August 12th. “No Highness Below The Crown” is a concept album, and both music and lyrics take inspiration from the duality in life’s heavy issues such as good and evil, life and death, love and hate, sorrow and triumph. This duality is also used, in the way the album was recorded. The first half of the record is recorded in the summer 2012, which is reflected in the heroism and more positive energy, but yet still angry stoner sludge metal. The other half was recorded in the autumn, where the mood was more somber and the sound more doom and dirty. 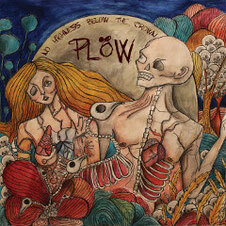 This record is PLÖW’s heart and soul, as they have sacrificed blood, sweat and tears on this "first-born" full length. PLÖW started the band in the spring of 2009. Originally founded by front man Rune Bæk and lead guitarist James Becker. Since then, PLÖW released 2 EPs, their self-titled 6 tarck EP (2010) and the second EP "Bicentennial Picnic" (2011). The second one can be heard and you can buy it on their BandCamp page. Denmark and European tour will follow up the album release.